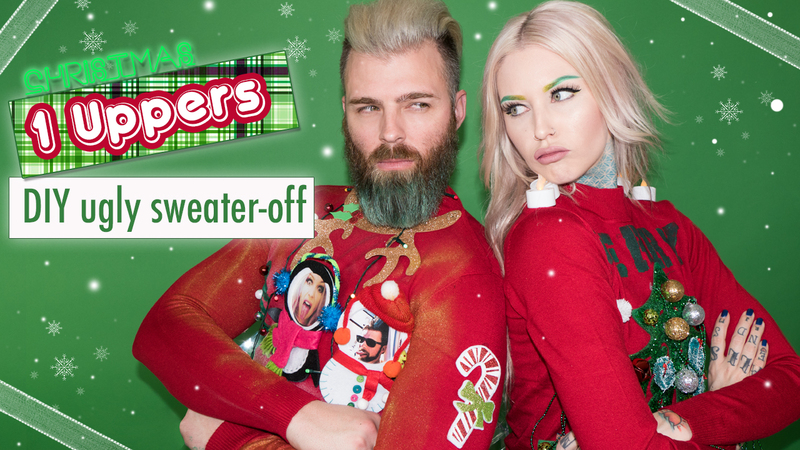 1 Uppers: DIY Ugly Christmas Sweater-Off! May the best man win!!! We will duke it out and see who has the better ugly sweater making skills to pay the bills!! We hope you enjoy the first episode to our new series. Let me know what you guys think. Should we create more of these? !